Welcome to Let’s Play It Out, where Fans Without Footprints demonstrates how real brands can activate sports sponsorships in the context of sustainability. Each example features a real brand, real teams and an example of how they can partner to achieve what sports sponsorships are all about—real fan engagement. Sports are going green with teams, leagues, arenas and stadiums leading the way. They’re looking for partners and this represents an entirely new gateway to the fans for brands. 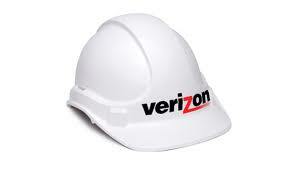 This example leverages an e-recycling program the sponsor, Verizon, already has in place. We’ve created a highly visible on-site opportunity that helps activate their existing sponsorship of the teams and stadium with a new platform, Fans Without Footprints. It would be promoted via team emails, social media, in-stadium signage & announcements, sponsor & team websites. Other activation elements might include player meet & greets, community volunteer efforts, in-store events and POS messaging, promotions that donate a % of ticket revenue to the local green project & incentives for other green behavior such as carpooling or mass transit use. Fans Without Footprints is a green sponsor platform that unites teams, leagues, sponsors and fans in a collaborative effort to improve and protect the environment. Fans are rewarded for green behavior, sponsor interaction and voluntary contributions that benefit a local environmental project.